. إن الخدمات الممتازة وحسن الضيافة العالي في Lilac City Motor Inn & Steakhouse تجعل إقامتك تجربة لا تنسى. تتضمن الميزات الرئيسية في هذا الفندق: واي فاي مجاني في جميع الغرف, مرافق مخصصة لذوي الاحتياجات الخاصة, واي فاي في المناطق العامة, صف السيارات, خدمة الغرف. لقد جهزت هذه الإقامة الفندقية بعناية فائقة لتوفر مستوى عالي من الراحة. في بعض الغرف يجد النزيل تلفزيون بشاشة مسطحة, اتصال لاسلكي بشبكة الإنترنت (مجاني), غرف لغير المدخنين, مكيف هواء, تدفئة. يقدم الفندق مجموعة واسعة من وسائل الراحة المتنوعة، كمثل: غرفة ألعاب. استمتع بخدمات لا يعلى عليها وعنوان ذو اعتبار في Lilac City Motor Inn & Steakhouse . سيكون مطعم "ستيك هاوس" مفتوحًا للنزلاء والمواطنين من يوم الإثنين إلى يوم السبت. Warning- this is not the Ritz, but the units have been recently renovated and are clean and tidy within. The staff are excellent and welcoming, the free breakfast is an added bonus before setting out on the road again. The Steakhouse is attached, however we had tweenagers with us so opted for a 10 minute walk into town- Ban Thai at the start of our journey and Cascades for a drink and pizza on the terrace on the return journey. 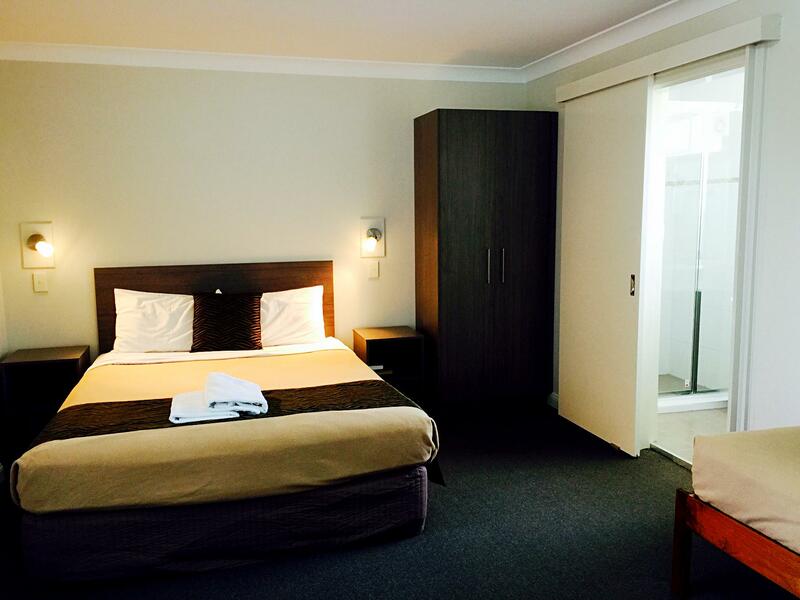 I would recommend this as a great value for money stopover accommodation. The units are immaculate and beds very comfortable. 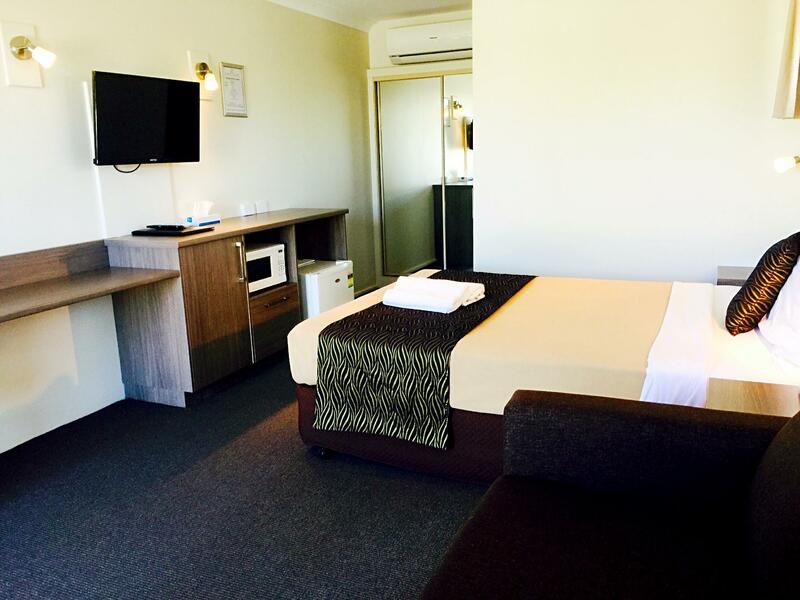 The inside of the units have been recently renovated. The staff are super welcoming and friendly and the free (uncooked) breakfast was a welcome bonus before heading on the road again the next morning. It was an easy 1 km walk to shops and restaurants. This place is clean, really clean. Last year we stayed here and even though the rooms were a bit small for our young family we were so impressed by the cleanliness and the staff service we decided to come back again. This year it was even better. They have recently renovated the rooms (which was totally unnecessary in my opinion, but I'm not complaining because not just was it still impressively clean, but in fact it felt mostly brand new! The bed was nice, the bathroom was a bit small but nice, there wasn't any stairs to our room and the car parking was right outside our room (which was super convenient!). All in all I would very highly recommend this motel for it's cleanliness alone, and I would consider it a generous bonus that staff are so friendly, car parking is so convenient etc etc (there's also a restaurant attached). 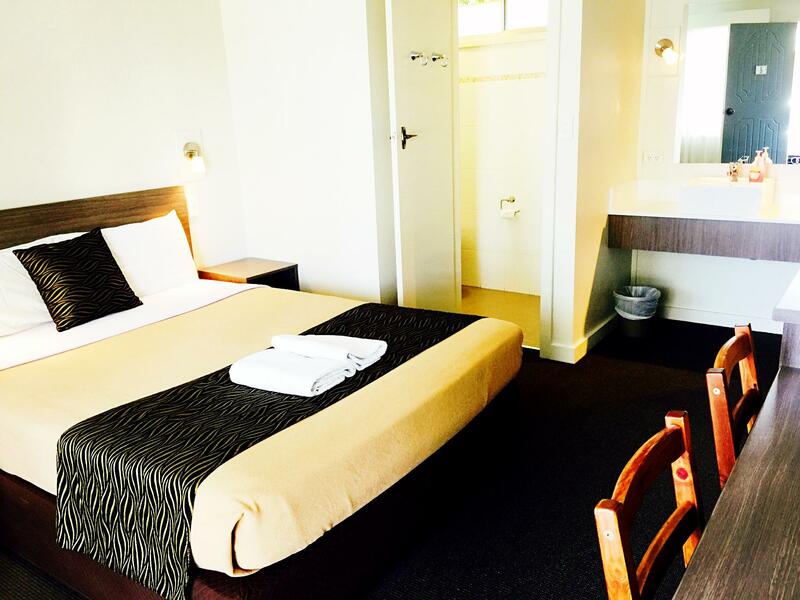 We stayed at Lilac Motor Inn last year and found that whilst the rooms weren't particularly large, there were nonetheless very clean and the staff were really nice. This year we decided to stay again and we were in for a very pleasant surprise. The staff were once again very lovely, noting that according to their system they see we are staying again since last year and will upgrade our little family to a nicer room, they also gave us two milks for our little toddler. This was very nice. Then we were told that the rooms had been recently renovated a couple of months ago, and indeed they were gorgeous. They were still splendidly clean, but the renovation really made it feel like new. 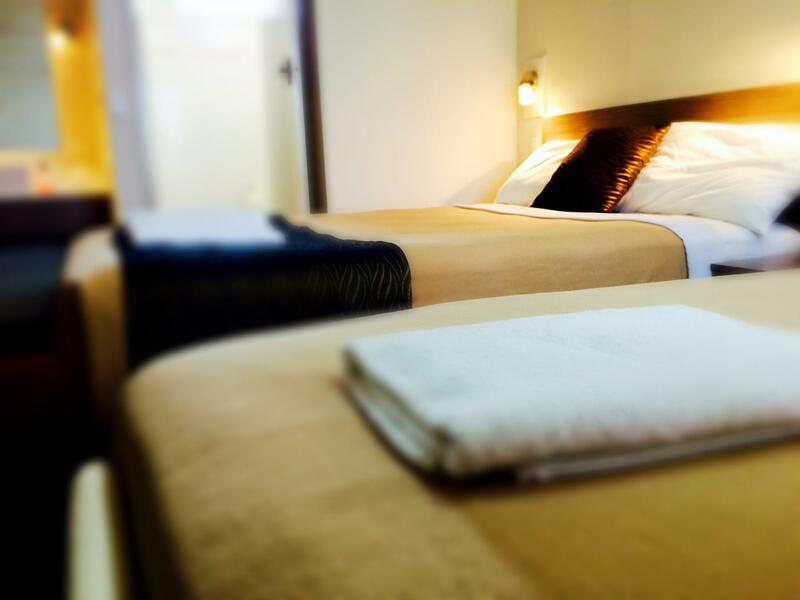 The staff are friendly, genuinely caring, making us feel like valued repeat customers, and the rooms are neat tidy and newly renovated. We will definitely be staying here again in future years on our annual trip up the east coast. The room was fine, the was a large wet patch if carpet near the entrance to the bathroom like there was possibly a leak and there was dramas with hot water cutting out and not much pressure. It was comfortable enough to stay just the one night but i wouldnt stay for a long stay. Staff were helpful to deal with. Our stay was fantastic, the staff were very friendly and helpful, the parking was great, the shops were close and the bedroom was very clean. The room was a bit on the smaller side (couple with 8 month old baby), but on the balance it was wonderful and I would definitely stay there again in a heartbeat, highly recommended! just stay one night with my little kid and the little puppy. 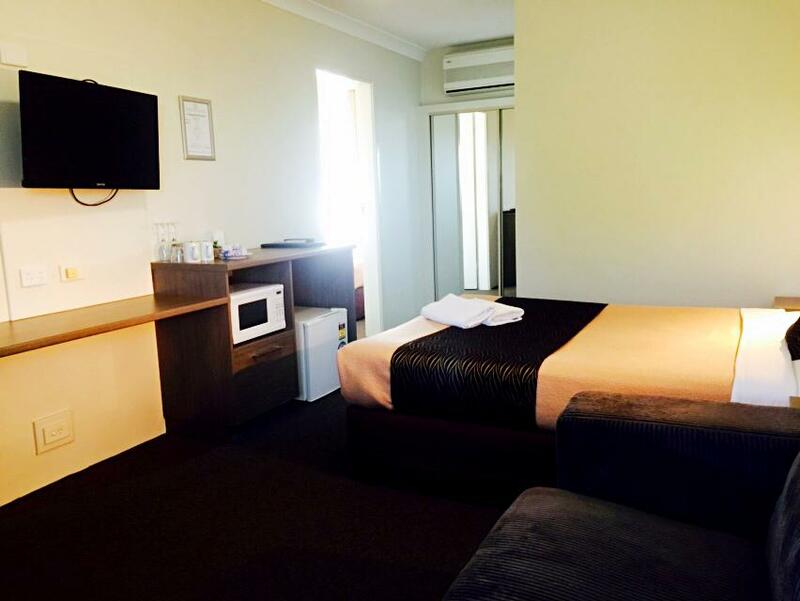 It is the only motel with pet friendly in Goulburn. quite night. This property is for a person or couple on a very strict budget. The rooms need refurbishment and are quite dated/basic. The shower pressure varies depending on who is using the hot water at the time. The car parking spaces are tiny (you'll need two). On the flip side, the accommodation includes a continental breakfast - simple and basic but suitable. The guy at reception was very friendly when we checked in. Very polite and helpful. When he found out that we had a young child and had driven such a long journey he was kind enough to give us a room that would ensure there is minimal noise. However, in the morning when we checked out the lady at reception was very very rude. Unfriendly..no eye contact...The continental breakfast they claim to include in the booking is not continental. Cereal and juice is NOT continental. This is midleading! Their towels were clean but they are old and have turned cream white over time. They need replacing. This was a good stopover from Melbourne to Sydney, ok price at a busy time of year (Xmas eve). Staff were fine. The room was small as was the bathroom but as I was on my own this was ok. Basic continental breakfast. A great motel to stay overnight on your way through. 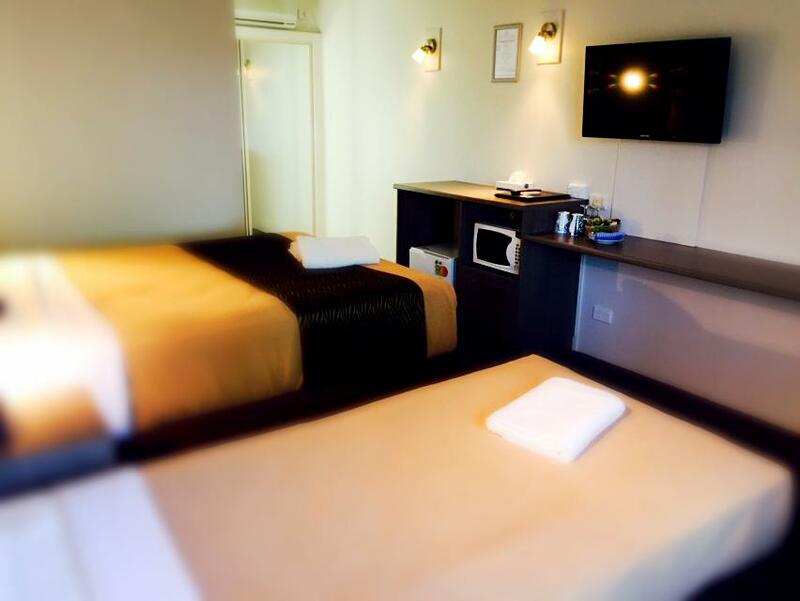 Renovated room and well appointed. Room 18 is very quiet and bed comfortable.